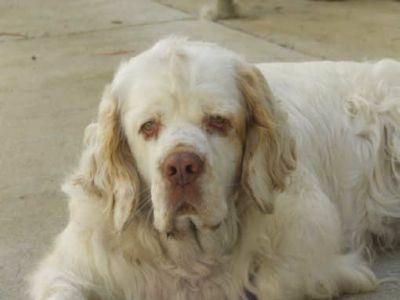 Zala joined our family in October 2009. 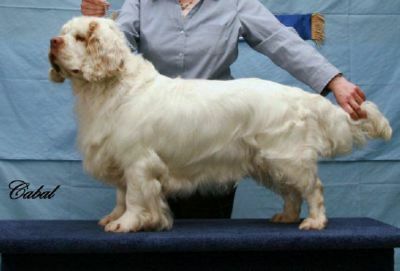 On the 15th December, 2009 she presented us with 8 lovely puppies (sired by Aust/Nord/Am Ch Sugar Loaf Hertig Knut - imp Sweden), 6 of whom have gone on to gain their Championship titles (and 3 of those becoming Grand Champions!). 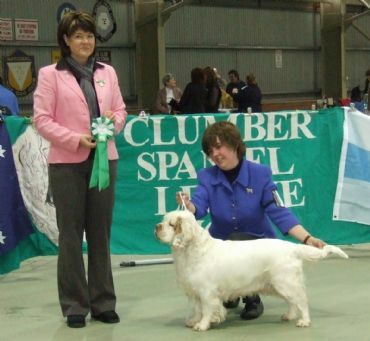 We only showed Zala sparingly while we concentrated on her kids, but she had some great wins from those few appearances including Best of Breed at the 2010 Royal Hobart Show and Best in Show at the 2012 Clumber Spaniel League of Victoria Championship show. Thanks to Jan Irving for allowing Zala to come and live with us. She is very happy to now be retired from the show-ring. PDP 1 def clear by parentage.